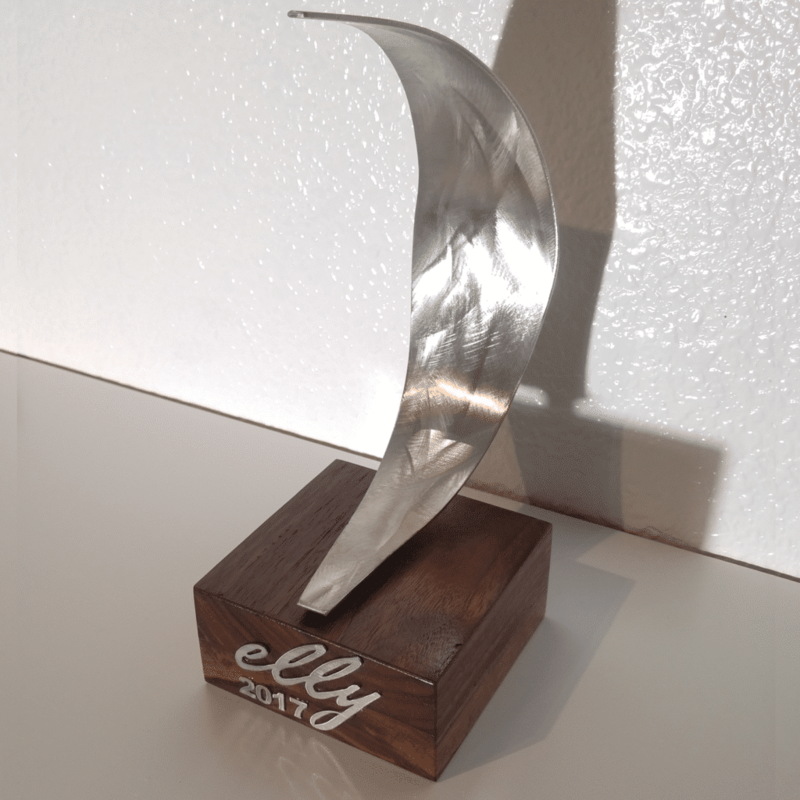 Modern metal sculpture awards created from only the best metals available including stainless steel, aluminum and more. Each including unique textures, colors and styles. 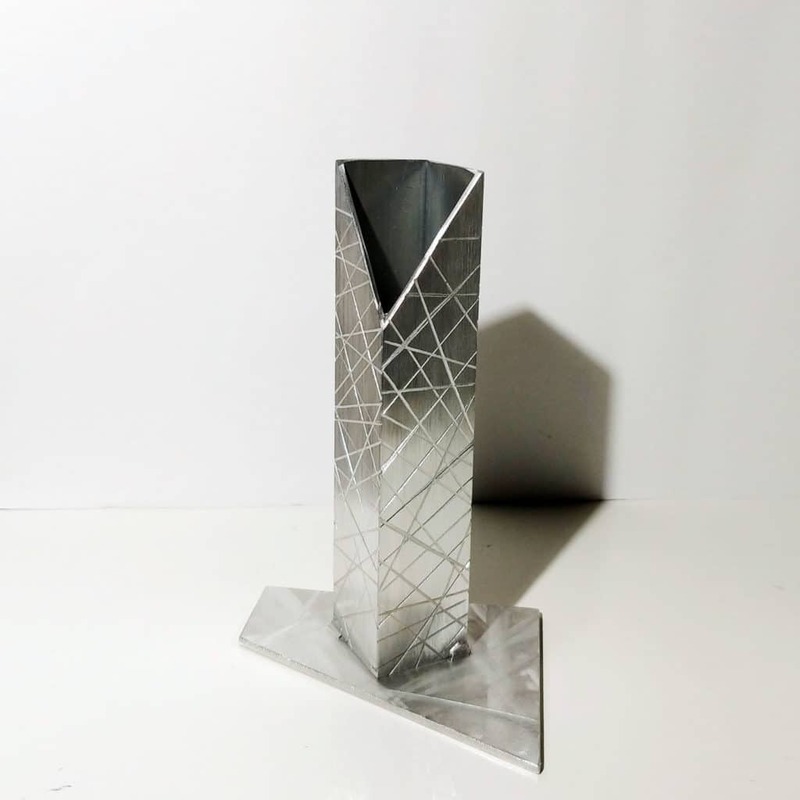 Custom awards that are branded and designed to fit your business, event or theme. 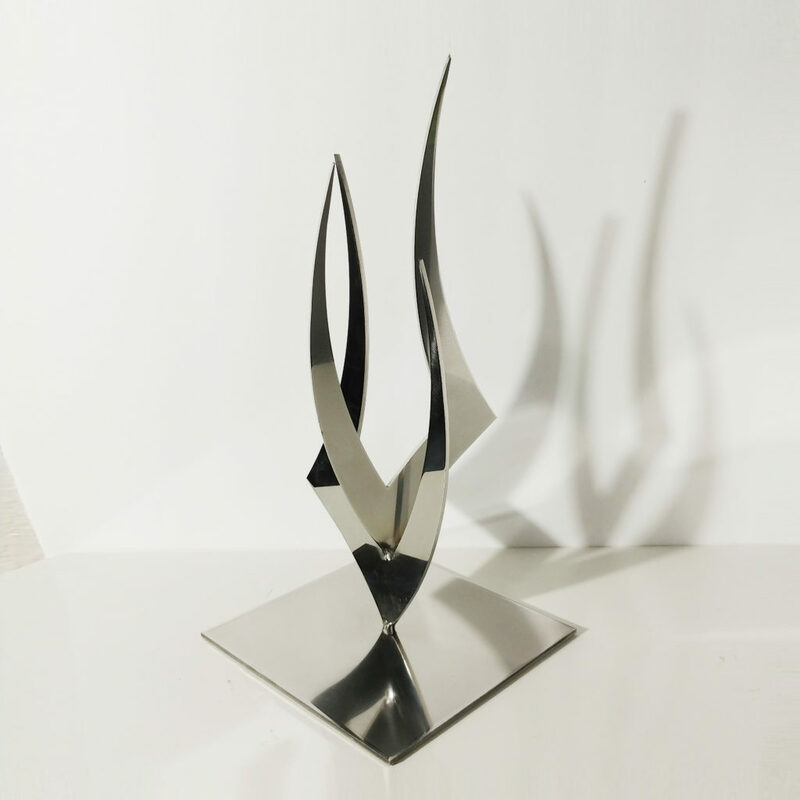 The artist takes elements from your brand to include it in these exclusively designed Metal Sculpture awards. Every design is custom made to fit your project. 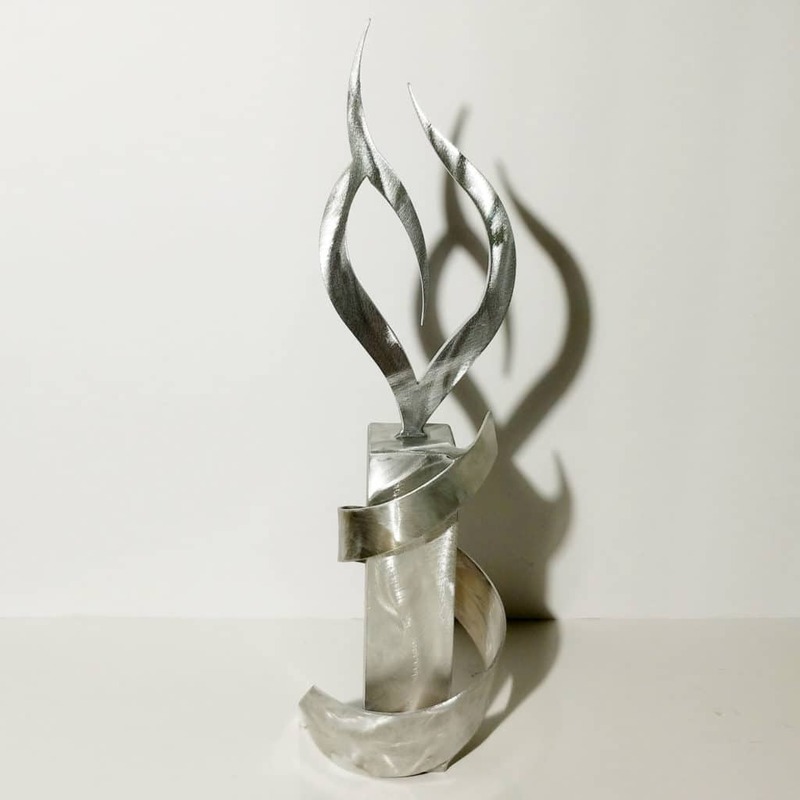 The metal sculpture awards created are one of a kind and can be tiered or layered to fit different levels of achievement for your end receivers. 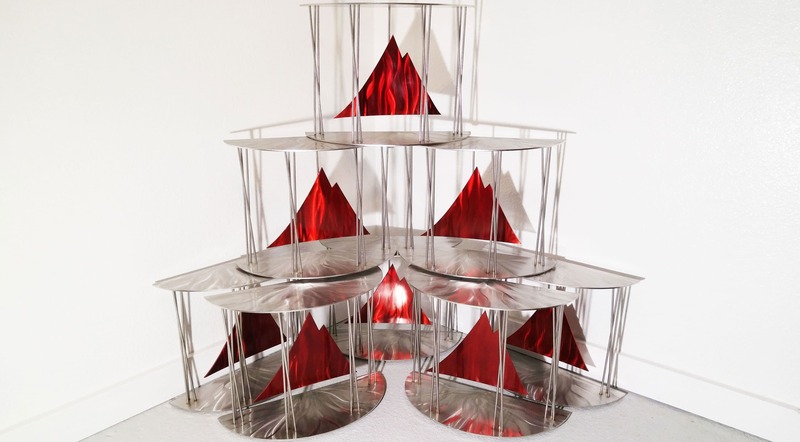 Additionally, the techniques the artists uses are the same methods used in his metal sculptures that are sold worldwide. 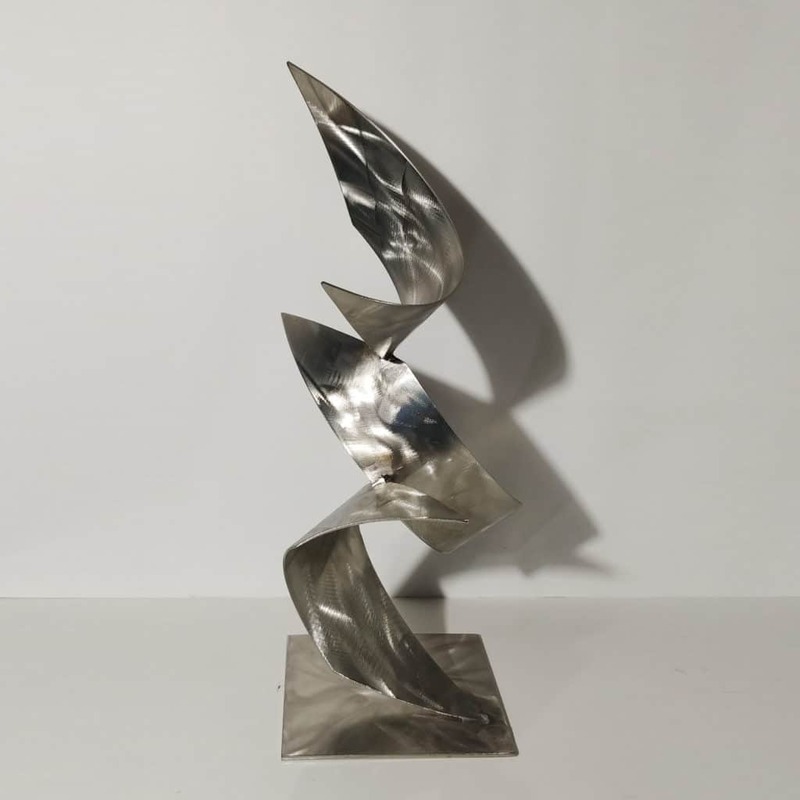 You are not purchasing a standard manufactured award, you are purchasing a work of art and metal sculpture by our renowned artist Dustin Miller. 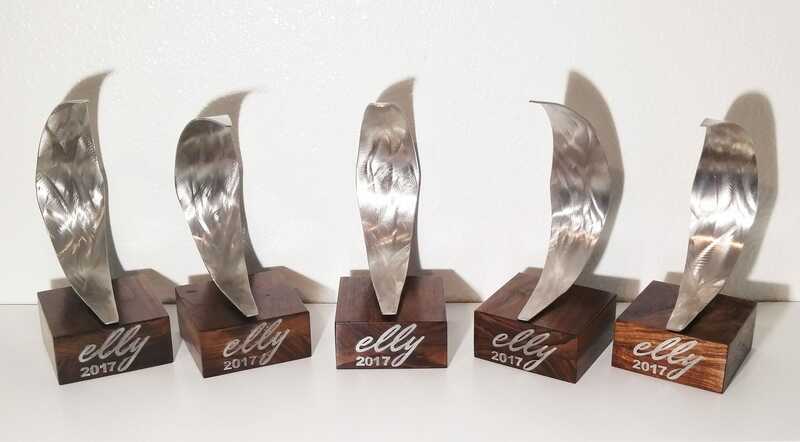 Every metal award is a work of art of the highest quality. 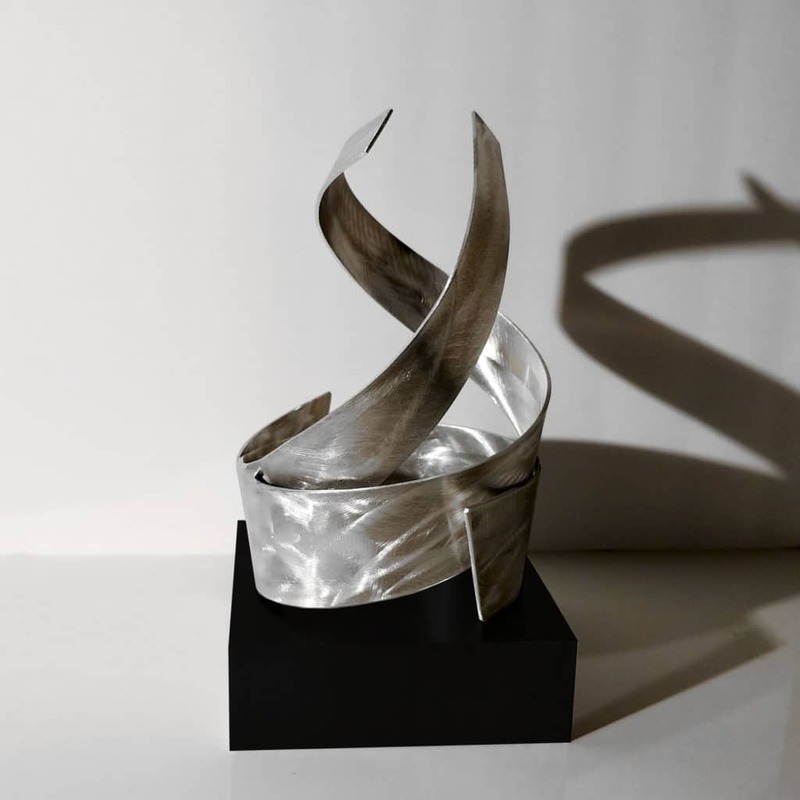 So get inspired and view some of the metal sculpture award designs below. Then, get in touch with us so we can discuss your project today!